"A lot of people want to be able to take their dogs and enjoy nature unrestricted." There are several signs posted at the entrance to the expansive wilderness trails of Three Pond Barrens. 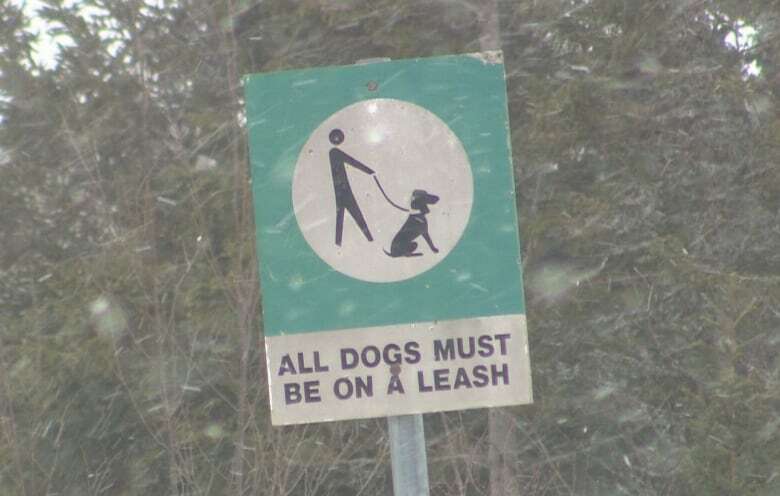 One says, "All dogs must be on a leash." Another tells users to "stoop and scoop," to clean up after their dogs. But it doesn't take long for a visitor to realize those signs are largely ignored. According to city bylaws, it's illegal to have a dog roaming off-leash in a public area, except in a designated dog park like the one on the shore of Quidi Vidi Lake. Despite the law, it's a popular place for off-leash activity. Only minutes pass between encounters with dogs running free and their owners trailing behind. It's clear the majority of users of Three Pond Barrens allow their dogs to have free rein, to exercise and explore and interact with other dogs. Josh Smith is normally in that club of culprits. He admits he has taken his dogs on these trails countless times without a leash. "Essentially everyone is (breaking the rules), but because there's no enforcement, a lot of them can just get away with it," Smith said. On this day though, Smith is following the rules. 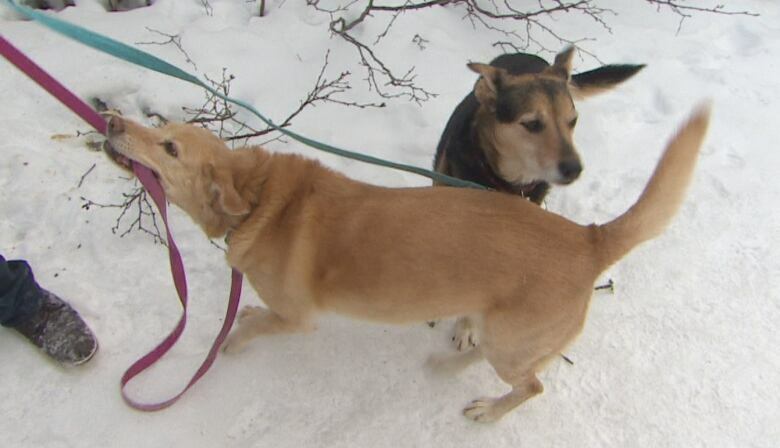 His two dogs, Summer and Chloe, are on a leash. And the furry pair are unimpressed and confused by this unusual situation. They howl their displeasure with the restraint, biting and tugging at the tether — particularly Summer. "She wants to go right now. I wish I could let her." But Smith doesn't, for one reason: this interview. Smith doesn't want to flout the rules on CBC. But he feels the rules for this area should change, and he's leading a charge to do just that. "A lot of people want to be able to take their dogs and enjoy nature unrestricted," he said. "Three Pond Barrens seems like the logical choice." 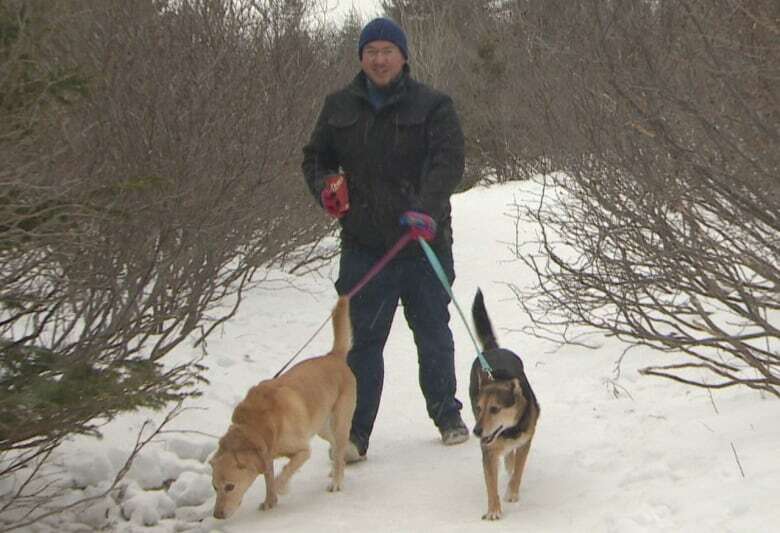 He recently started a Facebook group, called TPB Off Leash Designation Coalition, for like-minded dog owners who want Three Pond Barrens designated an off-leash dog walking trail. So far there are more than 120 members. "It's always been a point of contention up here. At least now it's out in the open and people are talking about it." The group, he said, plans to start a petition, gather signatures and support with the hope of convincing the Pippy Park Commission and the City of St. John's to allow off-leash activity; essentially, maintain the status quo but make it above board. "There are many places to walk your dog on leash here in the city. I think it wouldn't be far-fetched to have this place as the only spot for an off-leash park." But Sean Kelly, chair of the Pippy Park Commission, is quick to dash those hopes. He said the idea has been discussed and dismissed, and doesn't sense any appetite for considering that option again. "The park belongs to everybody," he said. It's a multi-user area; hikers, fat-tire bikers, cross-country skiers — all use the trails, and some of those users might be intimidated by dogs. Smith argues that making it an official off-leash park would be better for those people too, because then expectations would mirror the reality. "What we hope to achieve here is, let it be known that this is a designated off-leash spot, and if you come here, expect that," said Smith. 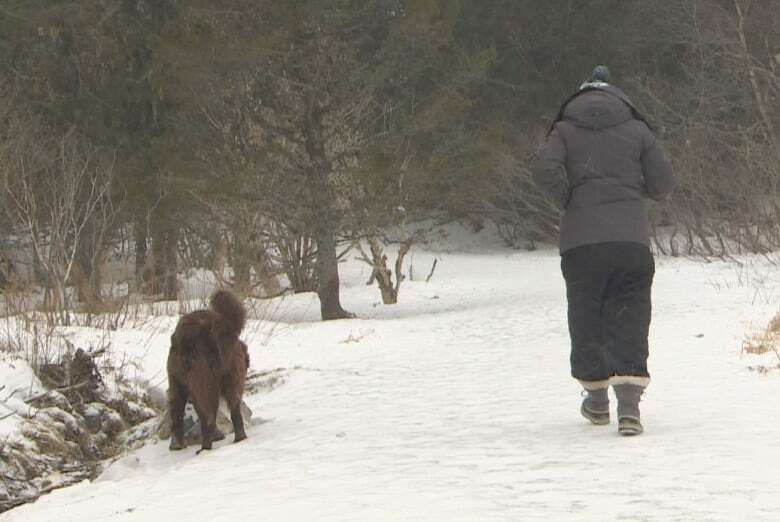 Members of the Pippy Park Commission know Three Pond Barrens has a reputation for being an unofficial, off-leash dog park, and they are looking at ways to dissuade that behaviour. Kelly said users can expect to see larger signs reinforcing the rules, and the board plans to get the message out on social media. He admits that approach may not be particularly persuasive, especially for longtime off-leash users. "I don't think it will solve the problem," he said. "I don't think you'd see 100 per cent of people put their dogs on leash just because we put up a bigger sign, but I think it would reinforce that message that you're not the only ones using the park, and be respectful of the people who are out walking and are nervous and intimidated by dogs." Enforcement of those rules, however, is not part of that plan. Kelly said their options are to employ patrolling officers, issue tickets, or install surveillance cameras, but the commission doesn't want to go down that road. "We don't think that would be the desired approach," he said. "We want to see people take ownership of the park themselves and work with each other to allow everyone to enjoy the park."